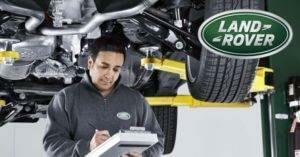 Does your Land Rover need routine servicing or a repair? The trained technicians at Land Rover Colorado Springs have the tools and experience need to take care of everything from an oil change to transmission issues. Land Rover Colorado Springs currently has great service specials available! So you will know you are getting quality servicing at a great price! Read more about these offers and print your coupons here. Let the Land Rover experts at Land Rover Colorado Springs service your SUV today. Call us to schedule your appointment or use our easy-to-use online scheduling form. Land Rover Colorado Springs is conveniently located in Motor City and is convenient to Pueblo and Monument.